Panel size 600 X 330 MM, it can carry 14",15" and 17" wide-screen laptop. Super 160 mm high power fan. 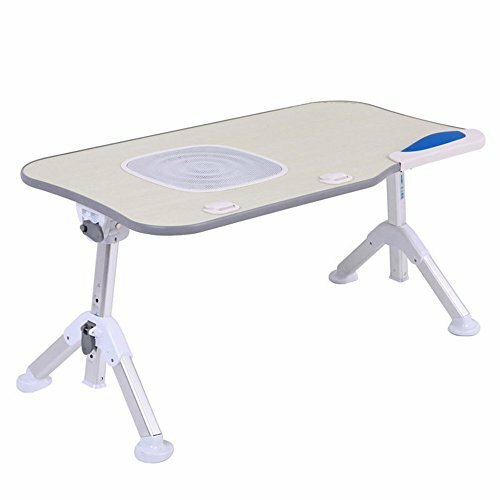 Adjustable Table Panel Angle 0-45 degree, height adjustable range: 250-325 MM. Wear-resistant and scratch-resistant Wood Grain Panel (MDF high density board) , high-grade, sturdy and durable triangular aluminum alloy table leg. Ergonomically designed soft-glue Mouse Baffle and wrist pad, can completely fold, easy to store. -Avoid touching with pointed and sharp objects such as knives to avoid surface damage. When you work for a better life, Omooly will be there to help you improve your quality of life. Panel size 600X330MM, it can carry 14",15" and 17" wide-screen laptop. Super 160mm high power fan. If you have any questions about this product by Omooly, contact us by completing and submitting the form below. If you are looking for a specif part number, please include it with your message.